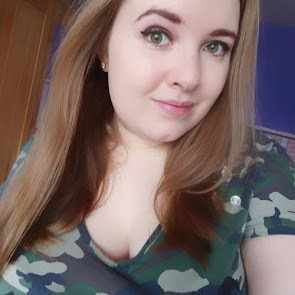 So I done a little update back in September about what had been going on with me and things that had been happening, and I've not done another one since! I want to try and do something like this every month or so just so you can maybe get a little peek into my life :) As usual, I'll bullet point things just to make it simpler to read! I am still looking for either another part-time job or a full time one. No where is hiring for more than the Christmas season, or you need so many years experience in things I have never done! One of my friends from work in the same boat as me and she is finding it just as hard. I've almost finished my Christmas shopping! Yes, I started back in September to spread the costs and that, but I have maybe two or three things left and then done. My driving skills have improved a little bit more. I don't know what it is, but I just cannot pull away properly any more, so have been trying to sort this little error out and think I've done that at last. Urrrrgh, it gives me a headache. I am currently going through all of my bedroom and getting rid of things I no longer use, want or need, so I will have more room and it will look way more organised. I've been really good and kept this blog and my YouTube videos going for the past few months! Honestly, I didn't think I would make it past the middle of October, but I have been enjoying myself way to much and have made some friends via both sites. My shopping habit is slowing down! I don't know what it was, but I was spending far too much on clothes, shoes and bags each month to the point where I was broke weeks before payday. I didn't buy anything last month, other than a few cheap beauty bits, but I've done pretty well! I've been to see Wicked up in London, and it's made me want to go there more often to explore, as I only go to the same few places there, so I'd like to go up more to see other places. I figured out how to do my eyeliner properly! It took many failed attempt, drawing on my eyeball and a lot of swearing, but I finally perfected it!! It's not much of an update, but that is all I feel I need to share as of now! Anything in your lives you'd like to share?